Japan opens borders to immigration! South Africans have their favourite immigration hot-spots and there are clear statistics to prove that our fellow countrymen and women gravitate towards specific regions. The most popular destinations for South African relocation include the UK, Canada, Australia, the USA, New Zealand, the Netherlands and Germany. But what if those countries aren’t for you? What if you’re looking for something unconventional—a place where you can make a fresh start and no one knows your name? Well, in Rand Rescue’s Relocations series, we’ll be taking a look at some of the unconventional as well as the popular regions for relocation. First up in this blog series – Japan! Japan has received much flak for its limited immigration policy, but with an ageing population and a shortage of skill, the country is looking to welcome immigrants more readily to their shores. In particular, the ruling coalition wants to include two new visa categories which—once approved—will allow entry to Japan for those with limited skills, AND allow those with skills above a certain level to bring their families with. This means that saffas with certain skills would be able to move to this island nation as a family unit, something which was a much harder feat before. What’s more, foreign workers may now also be able to acquire permanent residency. The new two-tier visa status which is aimed to be ratified in April this year, will allow eligible foreign workers to renew their visas indefinitely. This means they will be able to work and reside in the country permanently! The first tier of workers includes those who pass the skills and language tests as well as technical interns who train for at least three years. These individuals will be eligible for residency in Japan for five years. The second tier will allow those with greater skills and proficiency to bring spouses and children along with them. And should you wish to stay indefinitely, we’ll tell you a bit about the citizenship in Japan later in this article. It’s true! If you’re looking for a palate adventure, then Japan is the place to be, and they have a variety to suit every taste. Consider their remarkable selection of sushi dishes for instance. 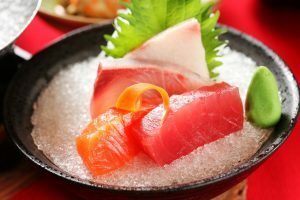 Although sushi had made its way through Southeast Asia and China before reaching Japan, today it is one of the staples of the country, with unique sushi and sashimi dishes which will make foodies salivate! Not into sushi? Well, if you’re a South African who likes your beef on the braai, then you’ll be happy to know that the world’s most delectable beef comes from Kobe in Japan. You have the Kuroge Washu cattle to thank for this delicious meat since it was discovered that this cattle is the only kind in the world to marble fat inside their muscles in this particular way. You may want to hold onto something for this, but Kobe beef costs around R3 000 per kilogram. The reason for the hefty price tag is the way the animals are treated and the strict requirements farmers have to comply with in order to have their meat labelled Kobe Beef. The Kuroge Washu cattle are brushed every other day to lean them and reduce stress. The cattle follow set diets throughout their live which includes a period of gras-feeding, followed by grain-feeding and even some other extras like olive peels and rice straw. 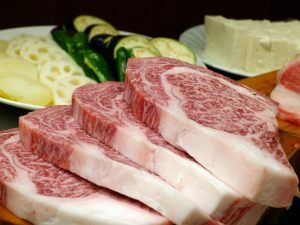 Although many farmers and restaurants across the world claim to have Kobe beef, only 21 restaurants across the world sell this cut from time to time, so being in Japan will probably get you a better shot at tasting the real deal. Whatever your culinary desires, you will surely find it in Japan prepped by a shokunin (master) or at your favourite McDonald’s fast food counter. (Japan has the second highest count of McDonald’s restaurants in the world after the USA). It’s a technological and economic giant! Japan is the 2nd best country in the world! No, this isn’t just something we made up to woo you. 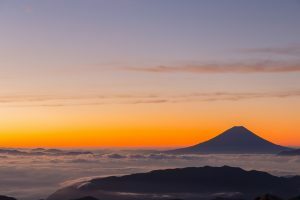 Japan came a short second behind Switzerland in the US News best countries ranking for 2019. 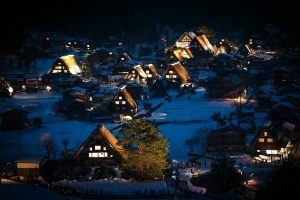 As the country with the third largest economy in the world, Japan also happened to bounce back from its tsunami disaster of 2011 with relative ease. Though Japan’s economic growth lags a bit behind compared to other developing nations, the Japan Times reminds us that in one respect (and perhaps the most important one), GDP per capita, Japan has proven to stay on par with the rest of the world. In fact, although the country has one of the highest living standards, its GDP per capita has consistently shown the country’s dedication to human welfare. Consider, for instance, that Trading Economics places Japan’s estimated GDP per capita for 2019 at 50 100. This is a remarkable feat, given that most major nations had backtracked a bit in the past two years. Below is a comparison of Japan’s GDP per capita compared to other major nations as well as South Africa. The Institute for Economics and Peace released their Global Peace Index rankings for 2018 and it’s no surprise that Japan is once more one of the 10 safest countries in the world. The Global Peace Index ranks 163 countries according to their domestic and international conflicts, safety and security, and degree of militarisation. Of the 163 countries (or independent territories) measured, only 13 of them showed a “very high” ranking, or a score below 1.5. With a score of 1.391, Japan is considered among the most safe countries you can find yourself in. The culture of respect and honour for one’s place in society and your fellow human beings is so deeply embedded in Japanese culture that cleaning and serving is a part of the educational system in many parts of Japan. In order to instil a sense of law, order and respect in children from a young age, children are required to clean classrooms, floors, toilets or other areas of school property and serve lunch to their peers in school. The reasoning behind this thinking is that children should not view their responsibilities towards society as a chore, and instead that cleaning and taking care of your community and environment are just as important as learning and working. Furthermore, Japan has an incredibly low tolerance for “celebrity” misbehaviour. The country has previously denied entry to stars like Paris Hilton, Paul McCartney and the Rolling Stones based on their behaviour, and within country borders, celebrities are expected to give public apologies to their countrymen and women when they misbehave (such as when they are caught doing drugs). It’s a rather big contrast to western civilization which often celebrates delinquent behaviour. But in Japan it is expected of leaders—whether pop-culture, political or business—to behave responsibly. They also have a no drinking and driving policy, which means you’re not to have a single sip of alcohol when taking the wheel. If you consider that you’ll be safe on the roads, and that the public transport is incredibly efficient, then there’s really nothing to complain about. This concept of respect and caring is explained by the Japanese philosophy of Omoiyari, which can be loosely translated to “altruistic sensitivity”. As a South African, leaving your home may make you feel like you’re also leaving the natural beauty behind—the lush grass and thorn trees of the highveld, the green mountains of the Natal Highlands and Drakensberg, the epic forests of Tsitsikamma, alluring beauty of the Karoo, the winelands and seasides of the Cape… this list can carry on indefinitely. But rest assured that there is beauty to be found abundantly on foreign shores—and even more so in Japan. The archipelago is comprised of 6 852 islands, of which only 430 are inhabited. 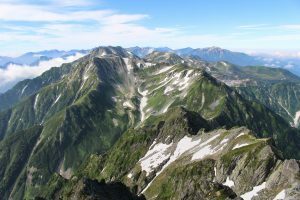 Much like South Africa, Japan’s climate is mostly temperate, with northern regions receiving snow and colder weather, which means that you will find both sand dunes and icy mountain peaks within its borders (much like South Africa). But Japan has things to offer that you won’t find locally. Such as the cherry blossoms which bloom in Spring. The local equivalent of this natural phenomena is most likely the Jacarandas blooming in Gauteng and North West in Spring, but unlike South Africa, cherry blossoms bloom throughout most of Japan. The only difference is that the northern regions tend to see their blossoms in bloom a bit later in the year. 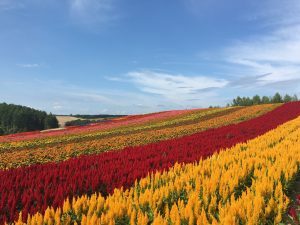 The occurrence is such an attraction that the Japanese meteorology department releases estimated dates for the first bloom and full bloom of the different regions early in the year. If you’re planning a getaway in 2019 you can find that forecast here. But cherry blossoms aren’t all the country has to offer. 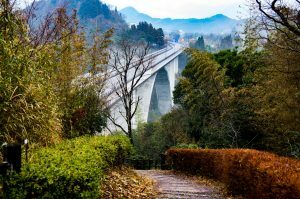 You will also find things like the Takachiho Gorge, with its deep aquamarine waters and mossy gorges, the lush and tranquil gardens of Konreku-en Park, the snowy mountainous peaks of Tateyama Alpine Route, the mesmerising waters of The Blue Pond in Hokkaido Prefecture and of course, the majestic views of Mount Fuji volcano. If you’re not already aware of this, Japan is the country with the most vending machines in the world. With around 5 million vending machines, Japan has the highest density of vending machines, with 1 vending machine for every 23 people (2017). But it’s not just the vending machines that make Japan convenient. As South Africans, we can rant and rave for hours on end about the state of public transport—something we won’t be doing when visiting Japan. Not only is public transport incredibly punctual, but the respectful nature of the Japanese people means that others won’t be bumping and pushing you rudely in tight spots on the bus or railway. 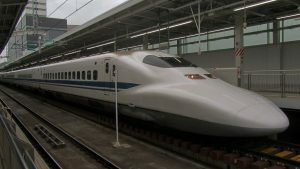 Japan has a remarkable transport infrastructure with plenty of options for the temporary or permanent traveller, including bullet trains, railways, ferries, bicycle and car hire as well as taxis and buses. One thing people in Japan will tell you is that Japanese trains are always on time! But there’s more to Japan than efficient transport and vending machines. One reason why the country is so progressive and efficient may be due to its belief in “Kaizen”, which loosely translates to “improvement”. This concept puts forth that one should not merely do a thing every day for the sake of doing it, but that one should actively seek to improve on your activities and functionality each time you perform an action. Compared to some other Asian nations, Japan is far superior when it comes to craftsmanship and quality of their products and services. The Kaizen way of thinking is adopted by each and all, from the CEO to the cleaners in each company and presents a type of pride in one’s work which is not to be taken lightly. As an example, the Ford Motor Company had at one point manufactured the same parts for one of their car models simultaneously in the USA and Japan. The Japanese parts were so much more efficient and reliable, that buyers began waiting for cars provided they received the Japanese parts as opposed to the US ones. How do you become a Japanese citizen? Japan is a jus sanguinis state, which means that citizenship is not automatically achieved based on location. Basically this means that your children born in Japan are not automatically eligible for citizenship unless one of their parents are Japanese. Although Japan is one of the stricter countries when it comes to citizenship, it’s not impossible to gain yours. In fact, though the process may take a bit longer than other places n the world, there’s a 99% approval rate for citizenship applications. Applications for citizenship will only be considered for individuals who have lived in Japan for more than five years. Citizenship is not granted for individuals under the age of twenty. So if you want to apply as a family and have young children the process may be slightly protracted. Your home and possibly your place of work may be inspected by officials. If you’re interested in moving to Japan or getting your Japanese citizenship it is advisable that you contact the Japanese embassy or consulate to enquire as to the requirements, tests and eligibility. And if you’re on board for your emigration from South Africa, rest assured that Rand Rescue will take care of all your financial services across borders. Simply leave your details and we’ll get back to you!